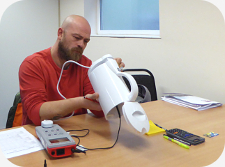 Learning how to PAT test couldn’t be easier with our best practice course, where small class sizes and an informative yet relaxed presentation style combine to achieve high customer satisfaction. The course starts with an introduction to the subject of portable appliance testing and an overview of the functions and operation of the test instruments required. The course then develops to look at the types of appliances and classes of equipment usually encountered and the tests which are applied to each appliance. Each test will be demonstrated using sample equipment and delegates will have the opportunity to use and operate the test instruments. The course concludes with a Q&A session giving those attending the chance to ask individual questions and seek clarification and guidance. 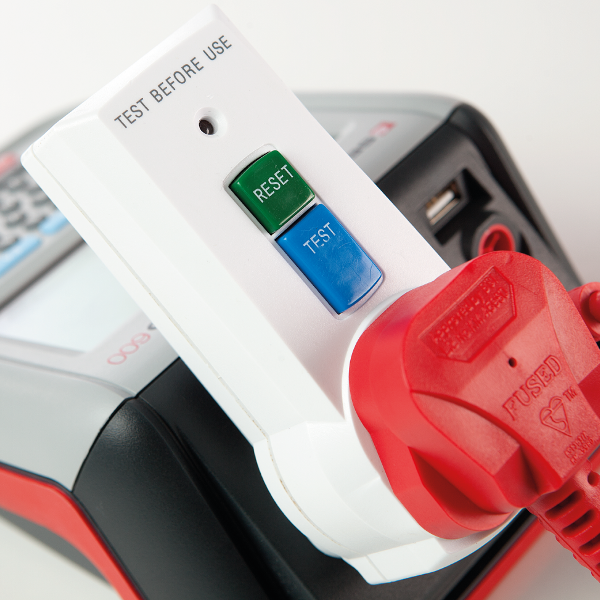 Using up-to-date portable appliance testers and software, delegates will learn how to carry out the full range of tests required on a variety of typical appliances. 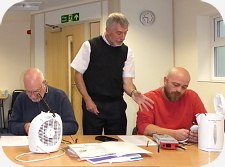 The course is delivered by one of our qualified and experienced PAT Test tutors in a friendly yet informative style. Benefit from our years of industry knowledge and access to the market’s leading manufacturers. Information will be communicated in a variety of ways using photographs and diagrams, in addition to an easy-to-follow booklet which is yours to keep, and will be reinforced with plenty of demonstrations and hands-on examples. We cover a variety of portable electrical appliances found in any office, kitchen, shop, school or workshop. If you are from the construction or industrial sector where the use of power tools is common - we will show you how to inspect and test these too! Bring PAT Testing In-House for great benefits! This course is designed for those without any electrical experience, wishing to bring Portable Appliance Testing ‘In-House’. Take control of the entire PAT process within your company! At a location to suit YOU! or at our centre in Newcastle-under-Lyme. Bolt-on modules also available - bespoke to your chosen tester(s)/application. If required, a truly tailor-made service is available! 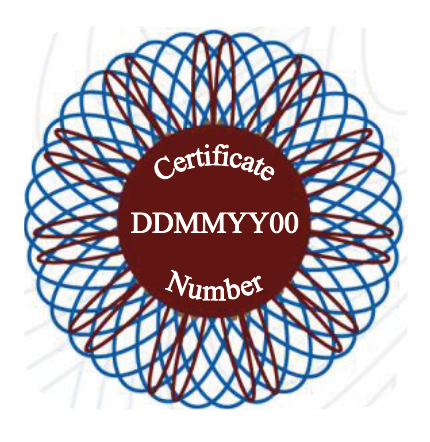 On successful completion of the course you will be presented with a Certificate of Training. If you have any questions or you would like to book a date and time convenient for you, contact our friendly team who will help guide you in fulfilling your training requirements - enabling your company to be more streamlined and efficient so you can concentrate on growing your business! Require a more in-depth course? This awareness course can offers an introduction to the nationally-recognised City & Guilds 2377 qualification, which typically runs for 2-3 days and provides an in-depth exploration of the Code Of Practice - please call us for more information. The price shown is the base price for up to 6 attendees where courses are delivered at our Staffordshire base. Speak to one of our friendly sales team if you have any questions or need advice – we're always happy to help! Where would you like training to take place? If you would like to provide different billing address, please click the button above. When would you like training to take place?